The capital of Connecticut and the unofficial insurance capital of the world, Hartford is one of Connecticut’s largest and oldest cities in the United States. 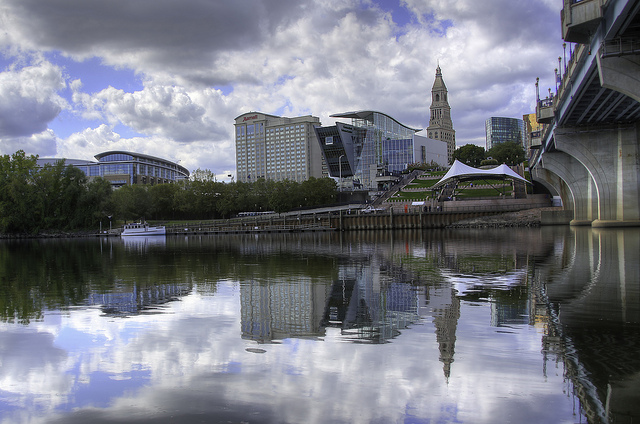 Hartford is located on the Connecticut River with a lively downtown center, historic art museums, public parks, elite private colleges, and other major attractions. Major industry employers include insurance agencies, with many insurance company headquarters located in Hartford. Hartford’s real estate market is tough, and many homes have negative equity. But while the median price of homes in many communities declined this month, Hartford’s home prices remained steady. And the good news for sellers: Hartford’s home prices are soaring. Still, in an unstable real estate market, it’s essential that you work with an experienced, professional Realtor® to ensure that they can expertly handle tricky situations that you may encounter in Hartford. We’ve identified the 15 best Realtors® in Hartford. These Realtors® have experience, great reviews, and the knowledge and skills you’ll need to succeed in Hartford’s real estate market. And while we’ve ranked them in no particular order, we do want to know which one is the best. That’s why we’ve added a poll at the end of this article where you can vote to tell us which Realtor® you think is the best in Hartford. Just don’t wait, as this poll will close in 30 days. Leader of Cynthia Burke & Associates, Cynthia Burke has more than 10 years of experience as a Realtor®. She works diligently to understand each client’s real estate goals and motivations, and is committed to always explaining what each client can expect from the buying or selling process. Burke has earned a number of recognitions and titles, including membership in the Greater Hartford Association of Realtors® Government Affairs committee, multiple years of bronze, silver, and gold medals for international achievement, and consistent 5 Star Top Producer awards. She is active in REBSEA, the Real Estate & Business Social Enterprises Association, and enjoys giving back to her community. 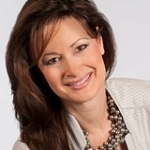 Burke’s clients say she is honest, offers excellent communication, and always motivated. They say she is particularly skilled at improving homes in ways that will get them noticed — and sold. Antonio Marques is broker and owner of Golden Rule Realty. He has more than 38 years of experience as a buyer’s agent and listing agent with a specialization in short sales and refinancing. Marques is also a mortgage broker who works actively on all types of financing from conventional loans to CHFA, FHA, and VA. Clients say that Marques is very informative, guides them through the process with ease, has excellent communication skills, and delivers great customer service. For nearly 30 years, Peter Nowak has been a real estate investor. And for more than 16 years, he’s specialized as a real estate agent and broker. 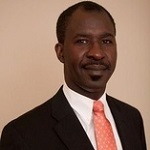 He offers experience, knowledge, honesty, and fast communication to each of his clients. Nowak stays up to date on the latest in Hartford real estate, and he uses both online technology and old fashion research to stay informed. He’s an excellent resource not just for buyers and sellers, but for real estate investors as well. Nowak’s clients say he is focused, efficient, and realistic in a way that helps you get your home purchased or sold. Even clients purchasing or selling from out of town appreciate how well he is able to manage their needs from afar — even picking them up from the airport when they’re able to make a visit. Assistant vice president of Shimkus, Murphy & Lemkuil has been a broker for the firm since the 1980s. He has more than 27 years of experience as a real estate professional, and has a long term perspective that many clients appreciate. Murphy offers excellent advice for home buying objectives, discussions of current market value, and more. His clients, including first time home buyers, say that he is extremely professional offers lots of advice and guidance, and manages the sales process with ease. 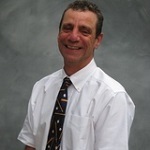 They love that he answers questions with experience and patience and offers an excellent knowledge of the local market. With a former career as a teacher, coach, and referee, many in eastern Connecticut know Peter Leeds as a community sports guy. But Leeds has taken his love of the community in a new direction as a real estate agent since 2010. 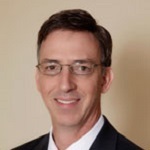 He enjoys coaching his clients, offering excellent care, diligence, and support as they buy or sell homes in Connecticut. Leeds is particularly strong in sales of multi family properties and manufactured homes, but he also has strong sales in single family homes. His clients say it’s clear how much he cares about helping them. They appreciate how genuine, kind, and personable he is and note that he is always quick to respond to questions. Real estate is Colleen Butler’s passion, and it shows. She is always happy to go the extra mile and use the best tools available to support her clients and get things done not just quickly, but efficiently. Butler is committed to keeping her clients’ needs first, as well as keeping them informed throughout the entire process. She offers superior service that clients recognize and appreciate. Clients point to her excellent negotiation skills, ability to handle delicate issues, and good communication as evidence of her great service. They enjoy how organized and efficient she is, as well as her knowledge and pressure free approach to real estate. 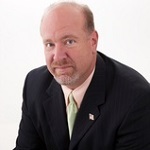 Rick Conary is a real estate sales executive supporting home buyers and sellers in the greater Hartford area. His processional, dedicated service specializes in personal and one on one attention every step of the way. 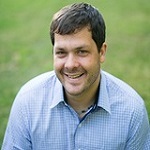 Previously, Conary worked in landscape architecture and urban design, giving him a unique perspective on residential real estate. He is available around the clock with responsive assistance, and always makes his clients his first priority. Conary’s clients say he is extremely knowledgeable, very professional and friendly, and is always quick to respond to communication. 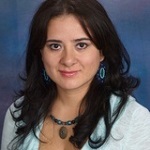 Carmen Valeria Palacios has more than 11 years of experience as a real estate professional and has been serving the Hartford real estate market since 2004. Her local market knowledge and expertise is top notch. She specializes as a listing agent and buyer’s agent with new construction, residential commercial, short sales, investments, and more. Palacios promises superior service and expertise for a memorable purchase or sale. Clients say she is very professional, hard working, and helpful, and even offers bilingual service. Marques Strickland has been fascinated with real estate throughout his life, and as a real estate professional, he is able to help and educate his clients in real estate. He is committed to helping every person own their own home, and is proud to guide his clients as they turn real estate dreams into reality. 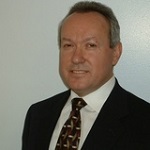 Strickland specializes as a buyer’s agent, as well as in short sales and consulting. He’s great at answering questions for first time home buyers, and clients say he will stand by you to succeed in buying a home. 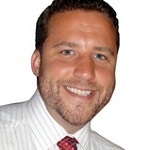 Owner and broker of Treanor Real Estate, Jim Treanor Jr. is a real estate professional with more than 12 years of experience and extensive real estate training and education. His professional designations include Accredited Buyers Representative, Certified Distressed Property Expert, Certified Residential Specialist, ePro Internet Professional, Green Realtor, Graduate Realtor Institute, and At Home with Diversity Certified. 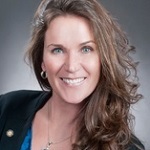 Treanor is also a member of the National Association of Realtors® and the Connecticut Association of Realtors®, as well as a member of the Greater Waterbury Board of Directors. Clients say Treanor is always available, has great connections, and demonstrates excellent patience. They say it’s clear how professional, thorough, and knowledgeable he is throughout the entire real estate sales process. 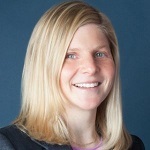 Lisa Ogren, owner of Ogren Group International, specializes in exclusive luxury properties in Connecticut and Massachusetts. Ogren has been featured on HGTV and has been voted a 5 Star Real Estate Agent by Connecticut Magazine. Her full time, highly qualified real estate team is dedicated to servicing every client’s real estate needs, ranging from single family home, condominiums, and multi family homes to investment properties. Clients say she is knowledgeable, motivated, and experienced. They appreciate her thorough attention to detail and constant professionalism. 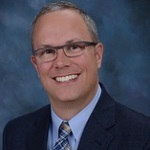 Real estate is Matthew Miale’s passion, and he’s been pursuing that passion for more than 15 years now as a real estate professional. 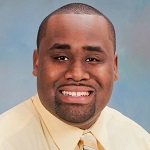 He helps not just single family home buyers and sellers, but offers investor and multi family services. He takes a service first approach to taking care of his customers, offering experience, perspective, and a helpful hand in real estate. He is also proud to offer an extensive network with resources from attorneys and lenders to house cleaners and landscapers. Clients say Miale is a pleasure to work with, knowledgeable, and makes the entire process easy. Especially appreciated is his willingness to educate them and explain each decision thoroughly so that clients can understand every step of the way. Serving the greater Hartford area, Amy Bergquist is a full time residential real estate agent with more than 10 years of experience. 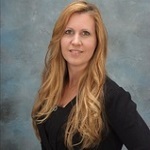 Her specialization is in single family homes, condominiums, and multi family properties. She has experience in residential resales, first time buyers, corporate relocations, investment properties, and older homes. Bergquist is recognized in the top 1% of agents in Connecticut for 2014, and has been a Connecticut Magazine Five Star Agent for the past four years. Her clients say her advice is invaluable and she offers an excellent level of attention. Claude Cousins, Sr. is a committed real estate advocate. He specializes in fair, honest, prompt, and efficient real estate service for his clients. Cousins is always happy to offer more information on the buying or selling process, and promises his full attention for every client. He uses the latest technology to research homes and market homes for sale. Clients say he is professional, prompt, and easy to deal with. 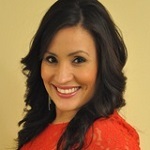 Andrea Rodriguez is a full time Realtor® with specialties including buyer’s agent, listing agent, foreclosure, and short sale. Her services include residential, new construction, lots and land, rural, and commercial. She enjoys helping others as they achieve their dreams of owning a home. Need Spanish service? Rodriguez is bilingual in English and Spanish. Her clients say she offers excellent attention to detail with guidance and exceptional knowledge. With more than 16 years of experience, Becky Koladis is a superior real estate agent for the greater Hartford area. 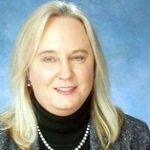 Her specialties include buyer’s agent, listing agent, relocation, and short sale. She offers extensive knowledge of neighborhoods, new developments, and more, and is committed to finding her clients the right home for their needs. Clients say she is responsive, offers on the mark advice, and a professional service. They point out that she’s even able to maintain order when obstacles arise in the process.